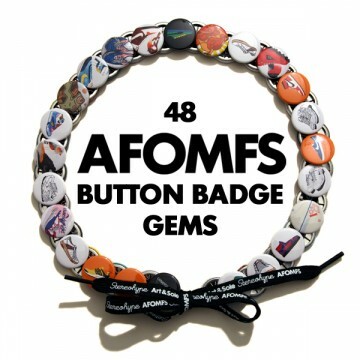 Exclusive FL@33-designed packaging for all 48 AFOMFS badges. Comes with two specially printed limited edition shoelaces per order (120cm, black, with white Stereohype / Art & Sole / Stereohype / AFOMFS / ... repeat pattern). Please note that it does NOT come in any box (although we decided to also list this shoelace packaging in our Gift Box section together with other AFOMFS products).